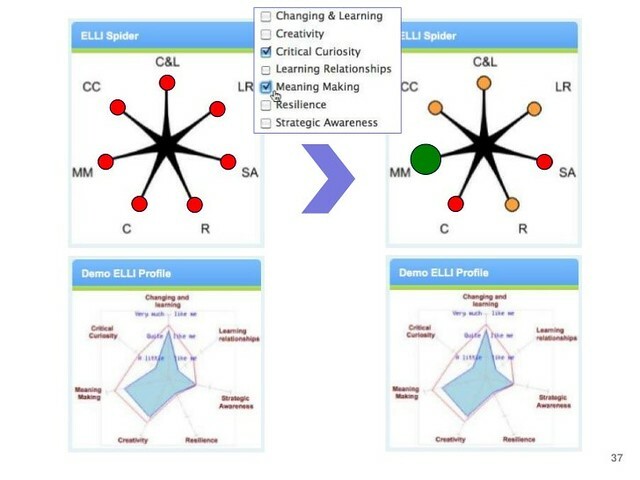 Learner analytics - friend or foe? 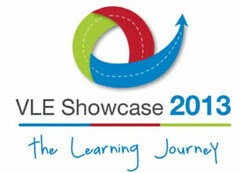 This visual narrative of research conducted by World Mosaic for NSW TAFE is adapted from the TAFENSW VLE Showcase presentation to TAFE delegates in June 2013. Add your comments throughout the narrative below. This narrative can also be tweeted. 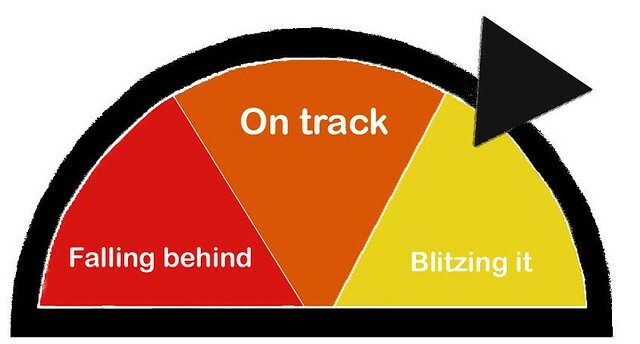 The VLE learning journey could be interpreted more like this at the data level as technology collects and throws off more and more data about learners and their learning. 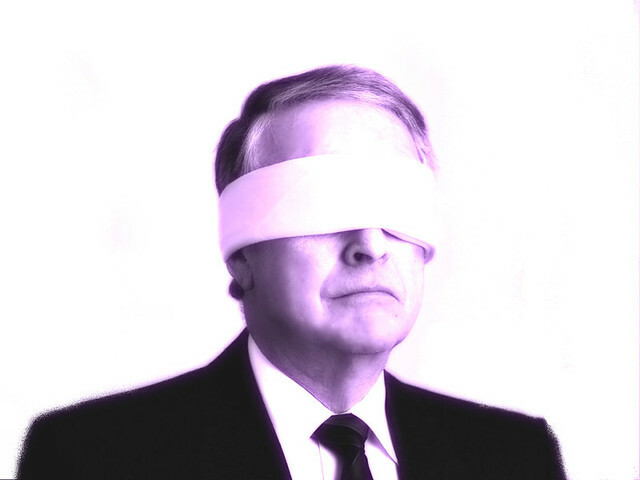 TAFE managers often cited what could be called 'data blindness' - so much data out there, but a lack of 'here and now' actionable information. As one said, "We need to spend less time working from data about students who have left TAFE, and more time on those who are still here." "We have to do a lot of digging." "We need actionable information, not loads of data." Now we have a Learner Analytics Framework - a key element of the VLE Framework, and a blueprint for TAFE's journey going forward. Click on "TAFE" immediately below to view the TAFE Learner Analytics interactive media presentation. Completions have always been an important metric. The approach of Smart and Skilled makes it more important than ever. Learner analytics is timely. 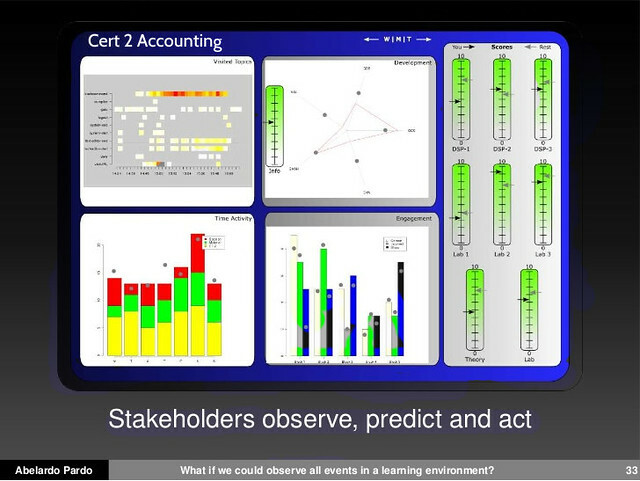 A video below by George Siemens, introducing concepts of learning analytics. 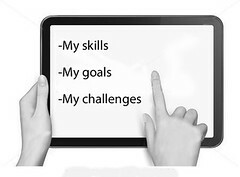 Goals identified in an April 2013 UK DfE report on data analytics (Roger Plant). 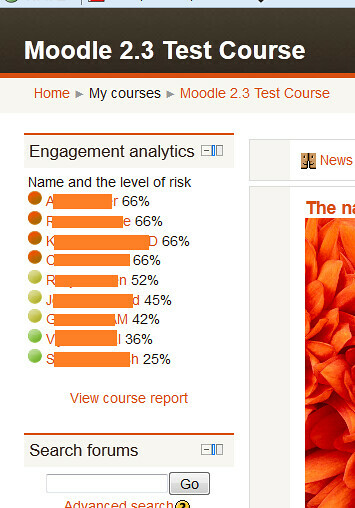 The Learner Analytics Report features reviews of a range of learner analytics dashboards, including this more holistic example by Pardo. 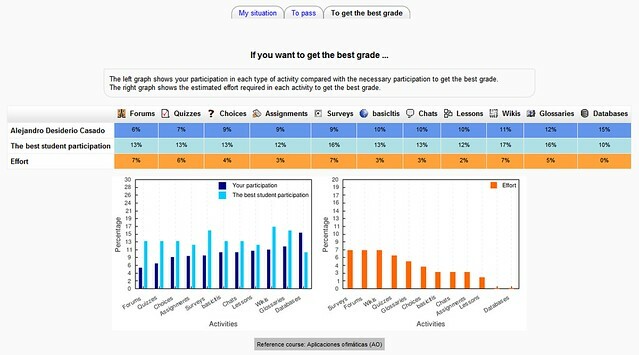 Learner analytics is more than collecting data about Moodle logins, Webinar attendance or assignment submission...the following examples show a range of new data sources to inform learning design and intervention. Analysing learning network - how do learners interact with peers and who is on their own? 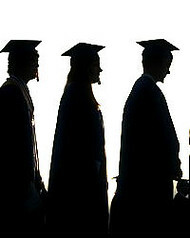 Refer to Buckingham Shum and ELLI (Effective Lifelong Learning Inventory). Data about a student's meta-cognition and course aspirations in week 2 can be more powerful than a test score in week 8. 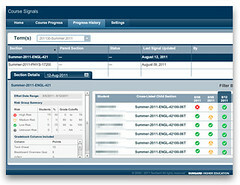 New dashboards create a view of the learner - not just course compliance. TAFE students said they wanted to be measured against the goals they negotiated, not just measured against other students. 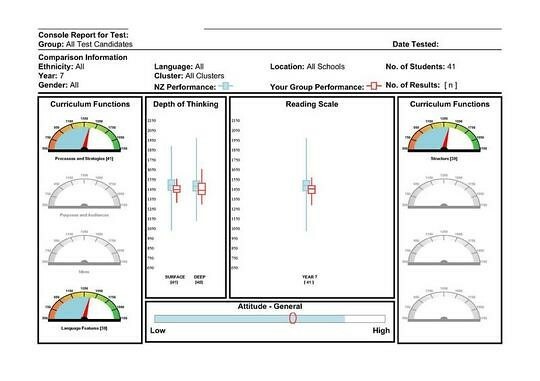 Report page 92.
e-AsTTle formative learner analytics on a national scale. 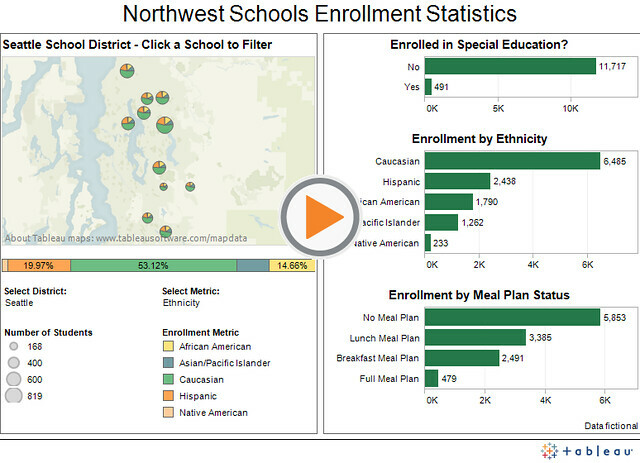 Qualitative data for learner analytics. 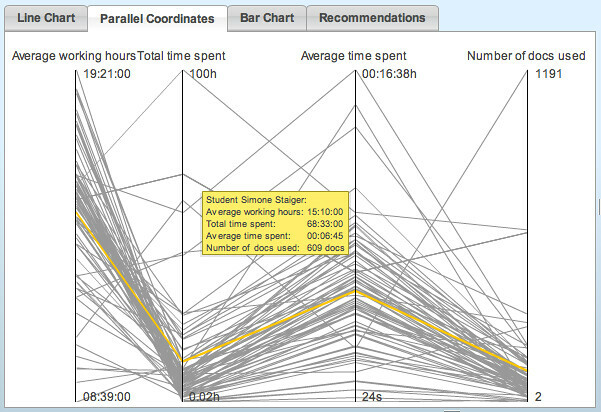 Micro, predictive analytics - recommending priorities to students. Course Signals also provides a 'traffic light' dashboard based on test and assignment scores, timely submissions and attendance. 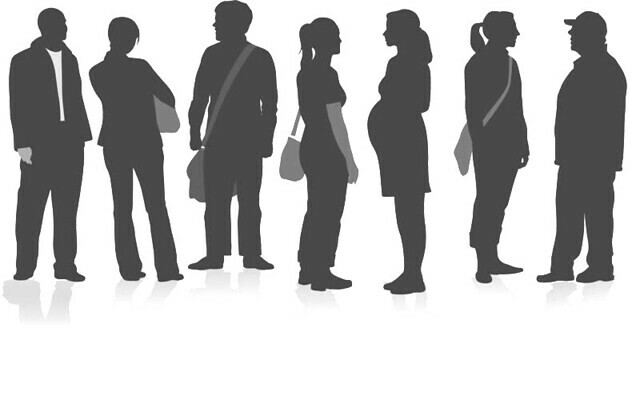 New skins for typical demographic data...more important at the macro than micro scale? The TAFE Focus Groups: What Students, Teachers and Managers said they wanted in learner analytics solution. 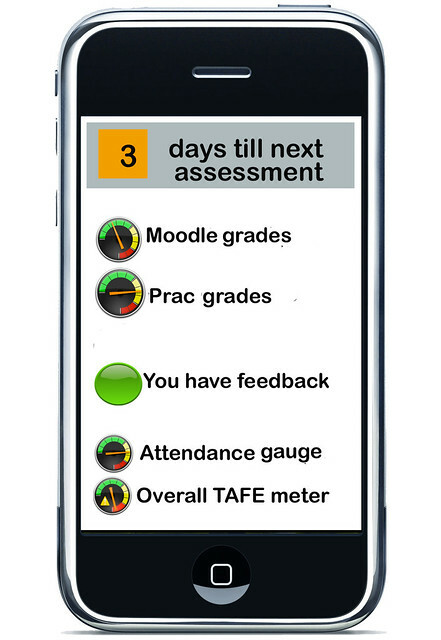 Students wanted an dashboard indication of their current overall progress at TAFE - as assessed by teachers and peers, and as compared to their negotiated goals. Click the link below (Manager focus...) to see a TAFE student focus group infographc. 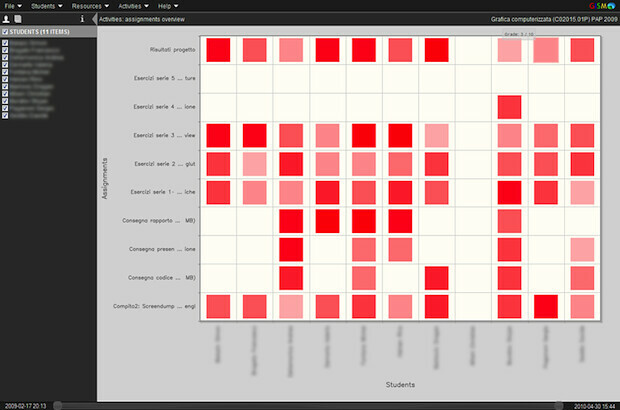 Teachers want all the data of importance to them in a dashboard. 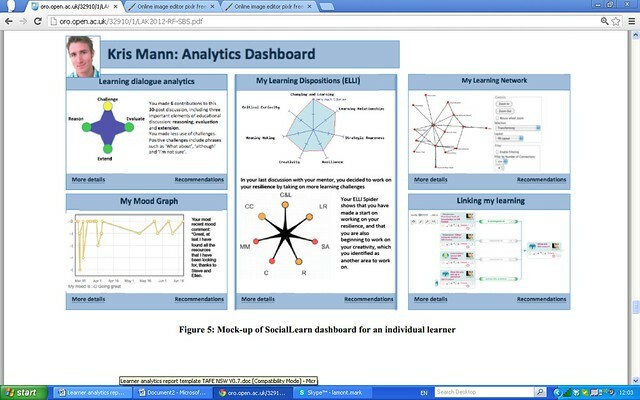 Click this image for a useful article on learning analytics dashboards. Click on the "_Manager_ focus group infographic link" to see a better resolution version of the "_Teacher_ focus group infographic below"
Other - student conditioning, alienation, diversion of focus. 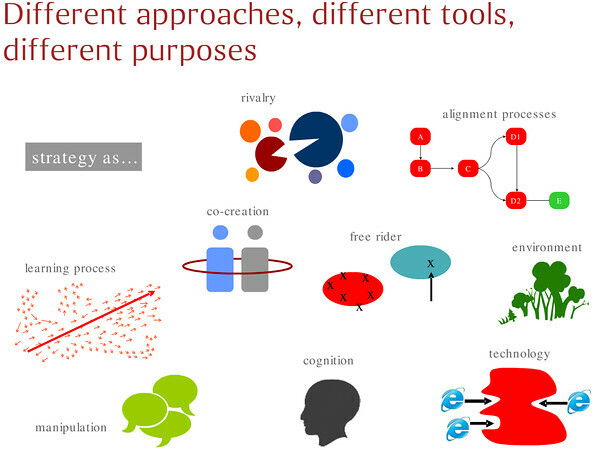 "Elias refers to the need to also avoid reductionism in the area of ‘big time analytics’. 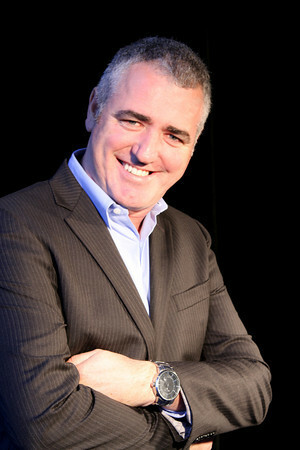 Entities like TAFE should, according to Elias, “carefully think about strategy, that is, ways of thinking about improving education”. 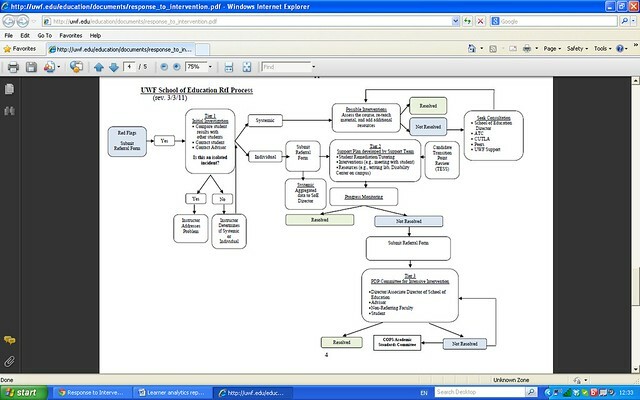 Rather than automatically focusing on “a balanced scorecard method”, TAFE should adopt a ‘learning organisation’ perspective, that is, “adopt some kind of expansive learning philosophy.” (31) Elias offers the following schematic from Stefano Mastrogiacomo that illustrates some of the more expansive thinking required at this time to avoid data and learning design reductionism." 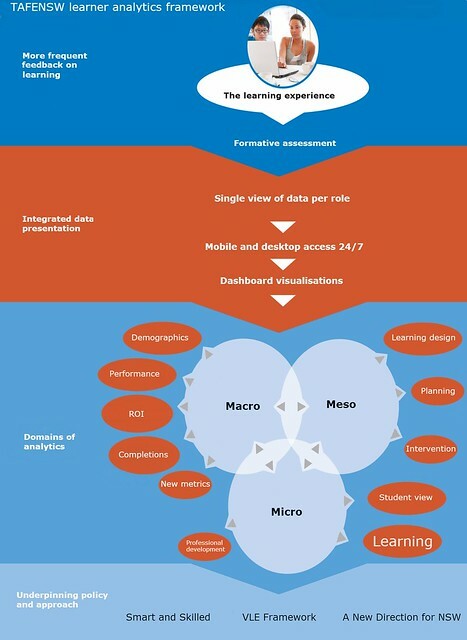 Mastrogianncamo's schematic is apt when considering the approach to learning and analytics. 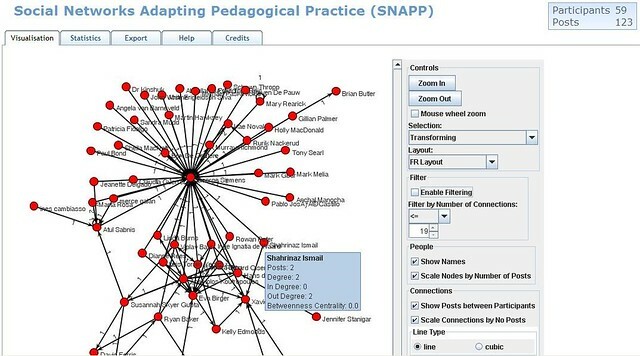 Analtyics needs to map to the desired learning paradigm, otherwise analytics can distort the learning approach in ways that are not intended or desired. Differentiates TAFE as a responsive provider with enhanced completions and continuous improvements to learning designs and interventions. Proven technology exists to meet TAFE’s needs. Requirements have been gathered across TAFE Institutes and those requirements resonate with research and software industry trends. 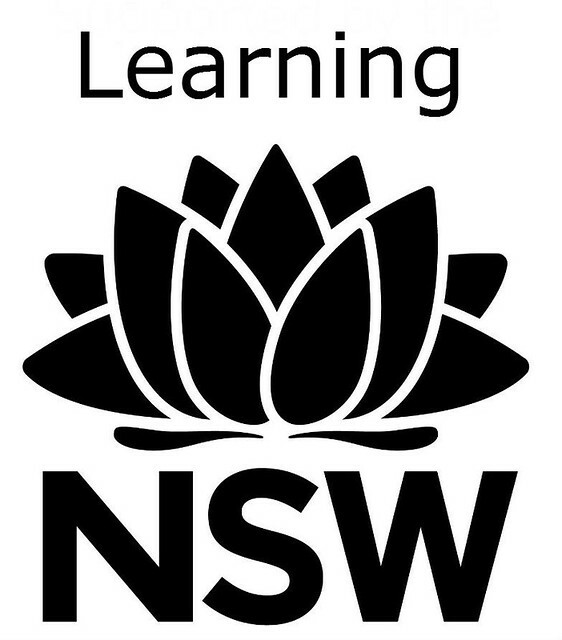 - Each TAFE student should at the start of a course or Unit, develop a learning plan through an app or online template, setting out their goals/milestones. Guidelines should be established. 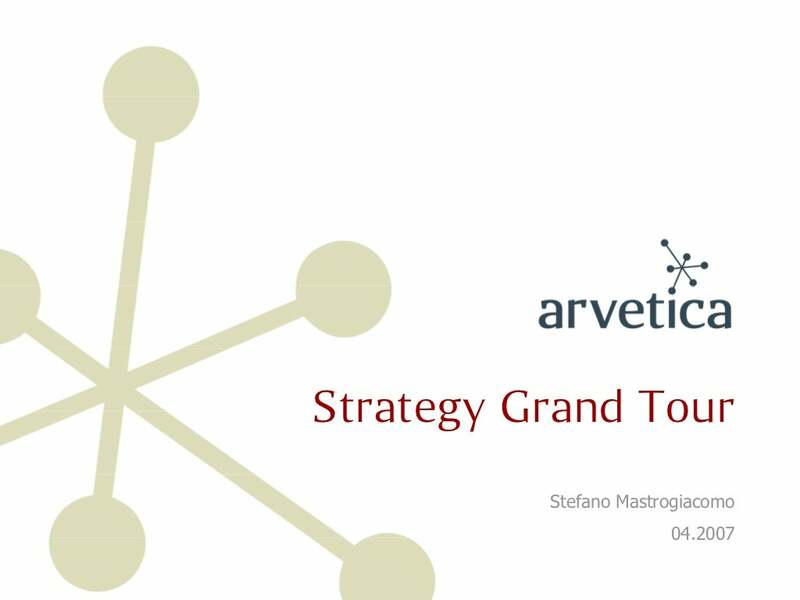 -Avoid setting a goal of implementing piecemeal analytics software plug-ins. 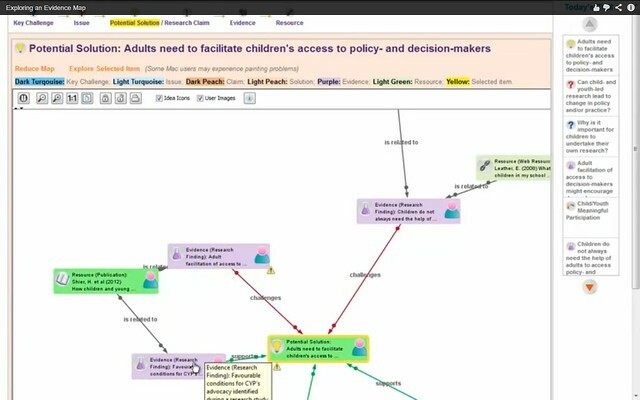 -Avoid the US NCLB experience of using data collected through learner analytics as the primary means of driving accountability. -Instead, TAFE should address accountability through measures that ensure improved responsiveness to data that is presented through learner analytics and deliver improved completion rates. 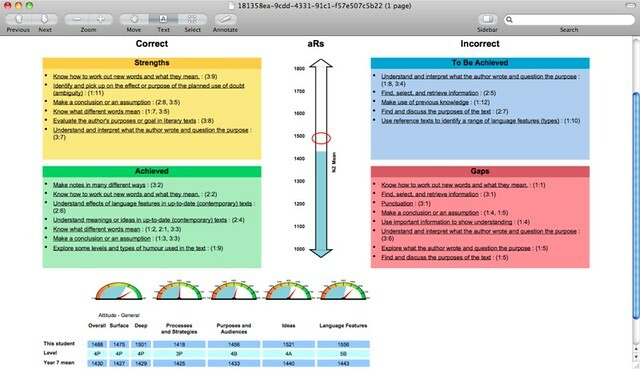 -Formalise and promote a VLE learning design scaffold, set out in levels, say 1 to 5, so as to provide a standard for teachers to work toward in developing their learning design repertoire.